Here is a great printable coupon for Reynolds Wrap. Head over to Coupons.com to print this coupon! Coupons Nov 25, 2011 in AceHardware, CouponsDotCom · Expired! Here is a HOT coupon for you to start our Tuesday off right! Get a printable coupon for $2/1 Butterball Turkey! Use zip code 30189. Plus there is still a $5 Mail in Rebate you can submit as well. This coupon will not last, print it NOW! Here we are again, it’s the first of the month! I can’t believe it’s November already. Coupons.com just released their new printable coupons for November. 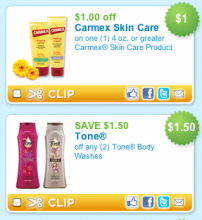 Here is the direct link to the new coupons. Looking over the list I see several that will go very quickly so print as many as you can while they are available! We always eat a huge turkey dinner at Thanksgiving but I know that there are several people who still enjoy it at Christmas. We fix a ham at Christmas but always add a little turkey breast for those who want turkey. Win-win for everyone! Here’s a great coupon from Coupons.com for a $2/1 Butterball Ready to Carve Turkey Breast. This coupon is available in zip code 62947. It’s the end of the month so I bet we won’t see this one much longer! Langers Juice as low as $0.03 with PRINTABLE coupon! You’ll want to grab this new $0.55/1 coupon for Langers Juice while it’s still around. Walmart has Langers Juice for as low as $0.58 each for the personal size, making this juice a steal at $0.03. I use the apple juice which has no added sugar, no preservatives and nothing artificial. Head over to Coupons.com and grab this coupon while it’s still around. Select “beverages” on the side bar to get to it a little faster! New coupons for you to print! Here are the newly released coupon from Coupons.com. If you see one you want, print it. We never know how long these coupons will last!